Thanks to everyone who gave such a positive response to my "everything in moderation" blog. I appreciate the comments and emails. My favorite feedback was from my mom who called and said "You're just so adorable!" As if me waxing on about my desire to balance wine and cheese with exercise is adorable. Only my mom thinks that's adorable :) Love you mom! On the topic of moderation, let's talk about meatballs. HA! 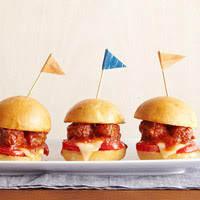 But seriously, let's talk about a great idea for your Super Bowl party... these adorable meatball sliders from BHG.com. Everyone will love them, and you can make them in the crockpot, which is a "touchdown" in my book. Hee-hee. If you want to make them healthier, you can always make them turkey meatballs. But as we all know, turkey really doesn't hold a candle to it's beefier brother, ground beef. Mmmm. 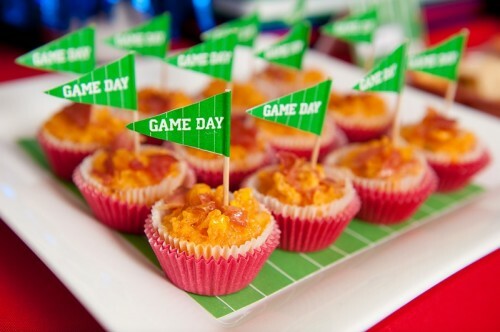 Live a little, it's the Super Bowl! 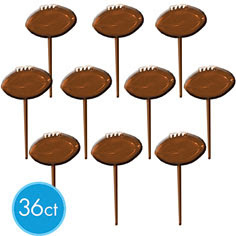 Make these mini treats even cuter with with free football printables from Living Locurto! Mmmm...sliders! What a great idea. And I love the decorations too!